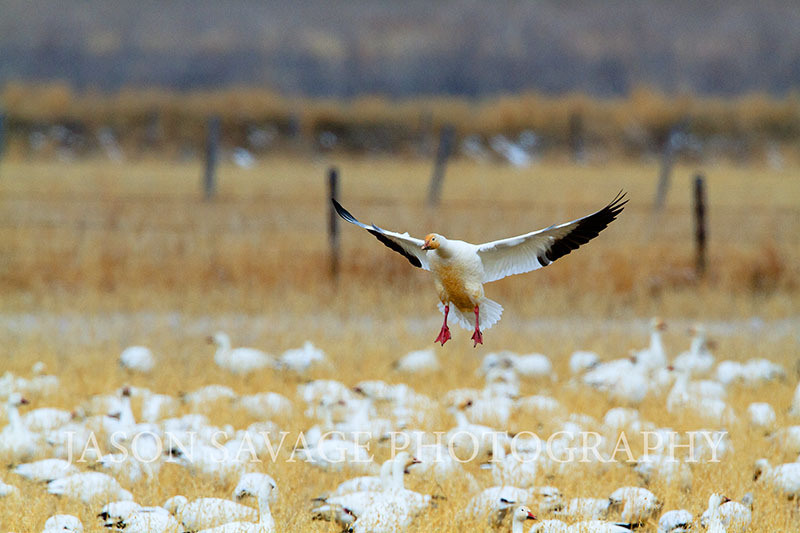 Snow Geese, Freezeout Lake, Montana. 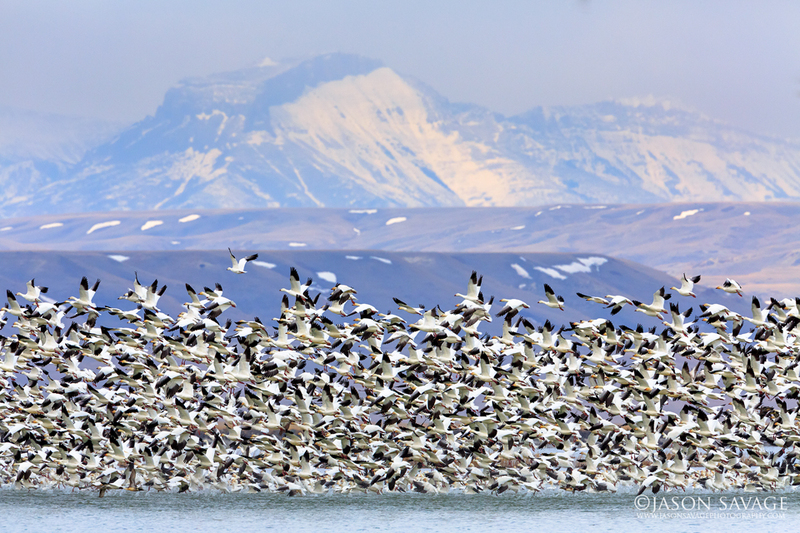 Every spring hundreds of thousands of Snow Geese stopover at Montana’s Freezeout Lake and surrounding wetlands, creating an amazing display of birds against the Rocky Mountain Front. In little over a month we’ll be seeing scenes like this again. 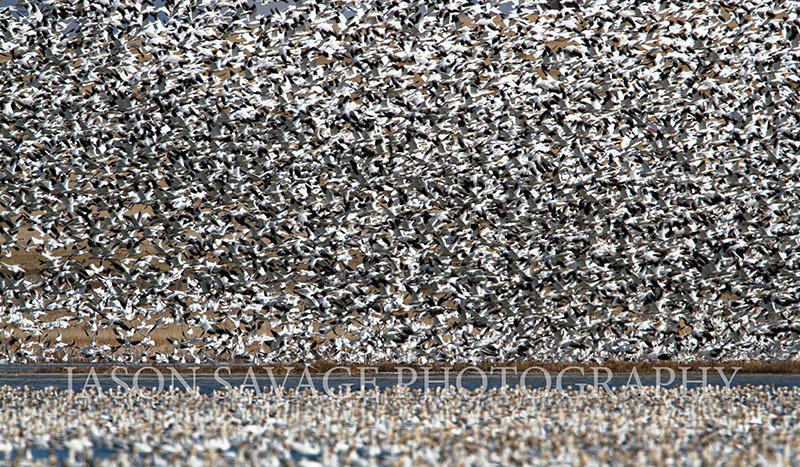 Thousands of Snow Geese take flight this morning at Freezeout Lake near Fairfield, Montana. I really liked the sense of motion in this image. I took hundreds of shots early this morning of the geese rising up from the fields hoping to convey a sense of motion in all the chaos. When panning with wildlife, birds can sometimes be a little trickier when trying to predict what the correct shutter speed should be to give it that right look and feel. With the birds erratic flight I will usually alternate between two or three different shutter speeds, usually one of them will work. For this image 1/20 of second seemed to be fine, but I still had to shoot multiple frames just to get one that would work. I also had my lens resting on a beanbag to help track and stabilize. Made it back up to Freezeout Lake this morning for some frigid shooting! Lots of snow and wind before sunrise. Bird numbers have continued to drop since the middle of this last week, but there are still thousands of Snow Geese, last estimate was 20,000. Tons of Pintails, Mallards and Swans as well. I think this weekend will be the last good one. 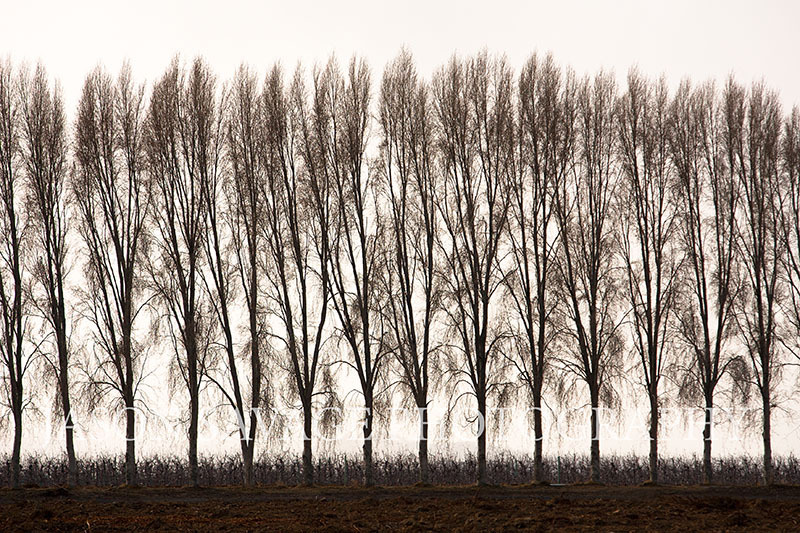 Beautiful day with passing snow flurries, bits of light here and there and crisp early spring air. Spectacular last few days up at Freezeout Lake here in Montana. Here’s a few images from this weekend. 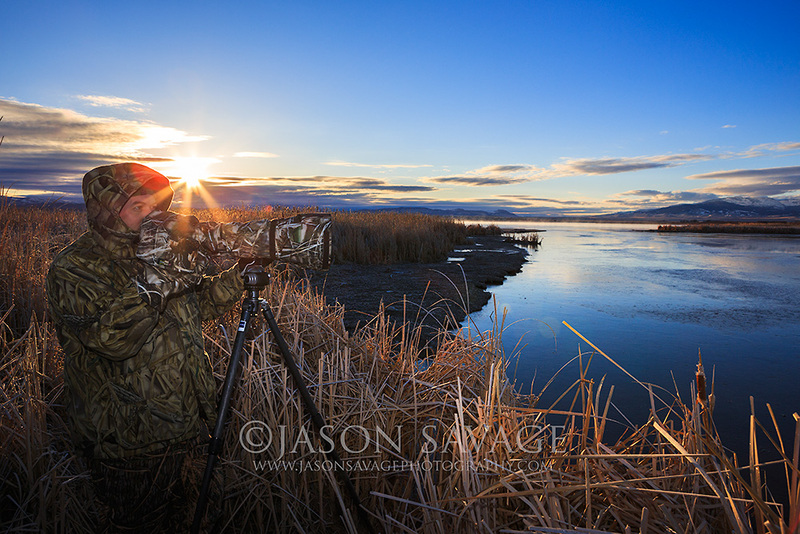 Things here a starting to pick up with the spring bird migration in Montana. 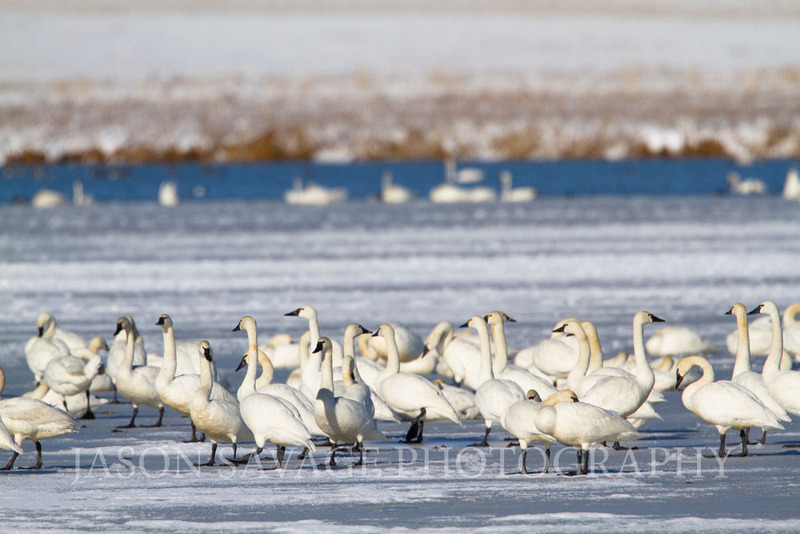 This week as of today there are 10,000 snow geese at Freezeout Lake and about 150 Swans. Around central Montana, ice is melting off quickly and much warmer temperatures this week. Mid 50’s, woo hoo! Made it out a couple days ago around Helena to see what was happening and found a fair number of Pintails out and a few Swans. This next week should be really picking up and I suspect in the next couple weeks, hopefully Freezeout Lake should be prime for Snow Geese and Swans. I drove up to Freezeout Lake yesterday morning to check the status of birds and weather and also to test out a new lens. Lots of snow on the ground and at least in the morning the roads were a little treacherous. 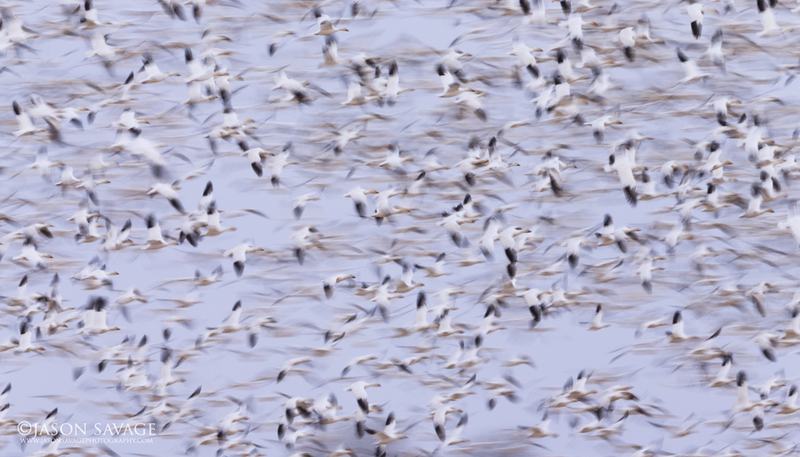 Birds have been off to a slow start and on Sunday there were around 5,000 swans and a few thousand snow geese. Duck numbers were looking pretty good and quite a few Pintails flying around. 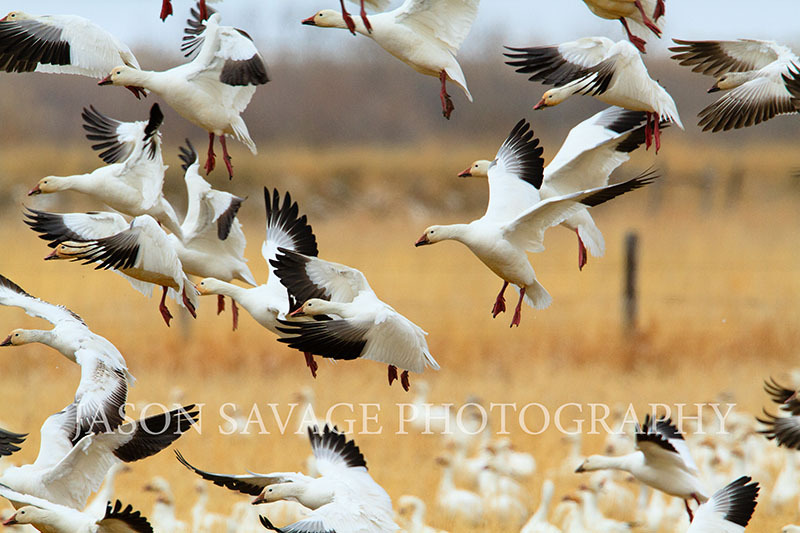 I checked the Freezeout Hotline this afternoon and they said snow geese numbers are now around 10,000. The spring migration is definitely behind this year and there is still a fair amount of ice on the water. Forecast for today and tomorrow doesn’t look the greatest with another winter storm dumping up to a foot in the valleys in places and a couple of feet in the mountains. They estimate bird numbers should be increasing by this next weekend and viewing opportunities will be better.